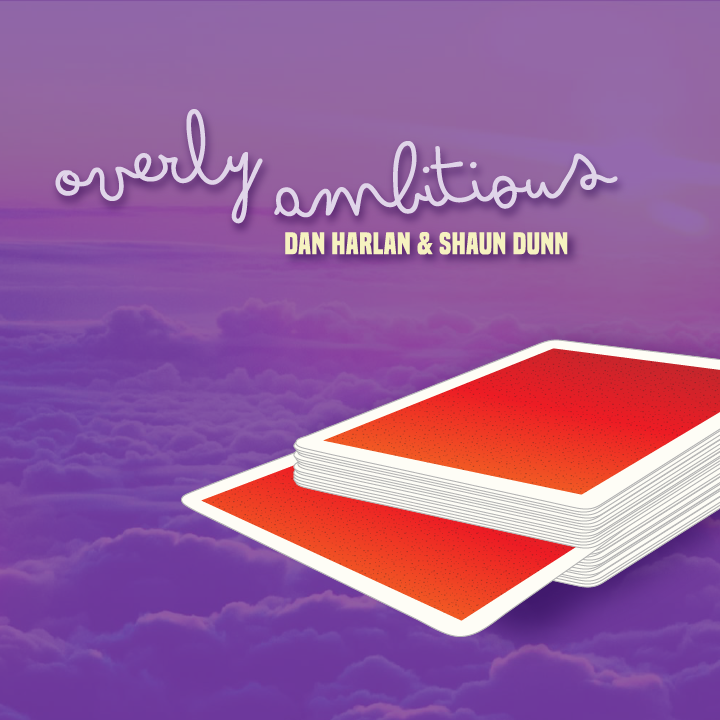 Today, when you order "Overly Ambitious by Dan Harlan & Shaun Dunn", you'll instantly be emailed a Penguin Magic gift certificate. You can spend it on anything you like at Penguin, just like cash. Just complete your order as normal, and within seconds you'll get an email with your gift certificate. There is no better way to end your ambitious card routine. 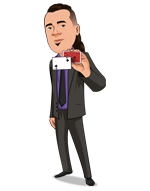 After several phases, you demonstrate your magical ability to control their selected card. Finally, you end by making their card disappear from THEIR HANDS, IMMEDIATELY AFTER THEY CONFIRM THEY'RE HOLDING IT. After it disappears, it is found.. unbelievably.. ON TOP OF THE DECK. I’m really kicking myself for pulling the trigger too soon on this one. I got caught up in the hype that this would be a great closer for your ambitious card routine. I guess the whole idea of ACR to me IS THE SIGNED CARD. That’s the whole point. That’s what makes it cool. That’s what sells it to the spectator that there are no duplicates. In this one Dan says that spectators will always think that there are duplicates in this deck, and then he goes into various convincers and methods for displaying the “dirty” cards and cleaning up the gimmick. The beauty of the signed card is gone, and I’m feeling kinda hosed because I thought this trick was going to make use of a signed card. I did indeed waste my money on this one, and I just don’t want others to make the same mistake I did. I admire Dan, and I think that he’s a good teacher, but they beg us for reviews, and if I’m honest, this one for me is a big miss. I’m bummed I bought it. I was really hoping for something I could use in my existing ACR. 18 of 18 magicians found this helpful. I like this effect alot! Tons of magic and I love ACR routines when the magic happens in the spectators hands that's incredible I just don't think it's worth 20 dollars with a single gimmick card most people will have like me! But again to each it's own the teaching is done well as it is with Dan harlan again I would deffinetly get this. I’m not putting my name on this because I love Dan and he’s a phenomenal performer who knows way more about magic than most people on the inside. That said, I was a bit disappointed with this. I expected an elaborate gimmick with sticky stuff or flaps or even a double face card. What I discovered made me slap myself in the face. I’ve worked with gimmicks like this before but it fooled me BADLY!! I suppose I’m more disappointed in myself that I was so fooled by something I knew so well. Why am I giving this three stars? It’s good. But as another reviewer put it, the card can not be signed. That is a major selling point of Ambitious Card. Also, there is a chance the gimmick will be found. A bit risky. All in all the routine is solid and Dan of course is a great teacher. Just would be nice to have the card signed. Despite the fact that this is truly a terrific trick, I can only give it a three-star rating as I'm looking at it from my own personal level, which is a near beginner. There really is a lot going on here that is beyond me and probably will be for a long time as there is much else that I have to get to first. The probability is that I will never get around to giving this the attention it really deserves. But! having said that, I learned a lot from the presentation.